The villa lends to much potential & could be used as a small business in any capacity or could be inhabited by 2 individual families. This is a spacious, 3 storey, detached villa for sale on the outskirts of Amaroni in the Calabria province of Italy. This brick built villa with cavity wall insulation and a terracotta tiled roof was completed in 1992 and includes foundations built to seismic regulations measuring 150 sqm. 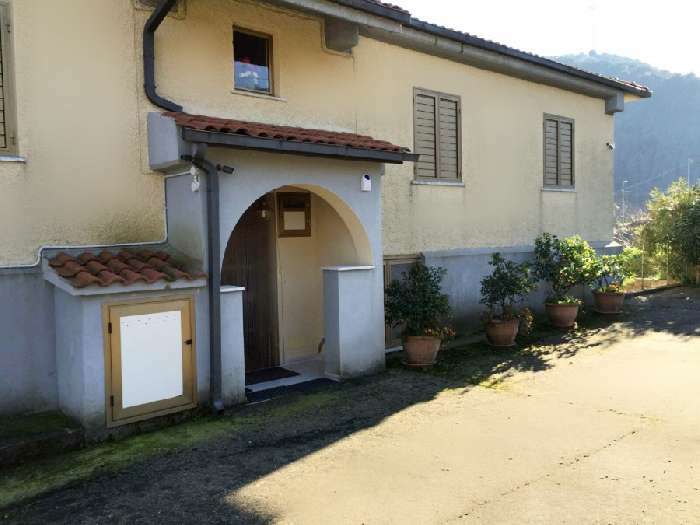 It is in a peaceful, elevated position with wonderful panoramic views of the mountains and surrounding countryside and is only a 10 min walk to Amaroni village with its great amenities. The villa sits on three-quarters of an acre of land (3035 sqm) with olive trees and an orchard that are all very well maintained. There are 2 separate entrances to the property, one for the ground level and the other on the first floor. With these separate entrances, the villa could lend itself to various business opportunities such as a bed and breakfast or relaxing retreat getaway. It could also be a used by 2 families who want to live separately and independently. At the ground floor entrance, there is a triple iron gate opening onto a long driveway with 15 m x 4 m carport, 2 double garages measuring 10 m x 7 m and wonderful gardens that feature a large kiwi pergola that enjoys lovely views of the mountains. The first-floor entrance has double iron gates opening onto a driveway with parking, gardens and an orchard area. The entire property is walled and completely fenced with video cameras in operation. The ground floor has a porch with doors leading to a living area with coal and log stove and kitchen with dining area. A 5-metre corridor leads to a large bathroom and 4 bedrooms, the smallest of which is currently used as an office. Double doors lead to a lobby with stairs to the mezzanine level with a front door and stairs to the first floor. On the first floor, there is a large lounge with 3 double windows opening to all sides and a door out to the balcony that spans 3 sides of the villa and enjoys magnificent views. The 7-metre corridor leads to 4 bedrooms and 2 bathrooms and double doors lead to the lobby and stairs to the attic area. The attic is on the second floor with a small window overlooking the front of the house and an open beam ceiling with 6 Velux windows. There is 11.4 m x 5.5 m of total living space with doors to under roof storage areas. The attic comprises a kitchenette and dining area with laundry and ironing space. The solar panels on the roof supply hot water only and the tank is situated in the attic. There are radiators in all rooms that are heated by the coal and log stove in the ground floor kitchen and they are supplemented by butane gas. The floors throughout the villa are ceramic tiled and the staircases are marble. There are gardens to the front and rear of the property with secure parking in the carport and garages as well as off-road parking. A security system is in operation for added security. There are also olive trees and a very well kept orchard. The road running up to the house is tarmac with street lights and water and sewers are maintained by the local council. The villa is in a peaceful location but is not isolated as there are other villas dotted around and there is a restaurant 5 mins away. Amaroni village is a 10 min walk away and has supermarkets, shops, a post office and chemist. 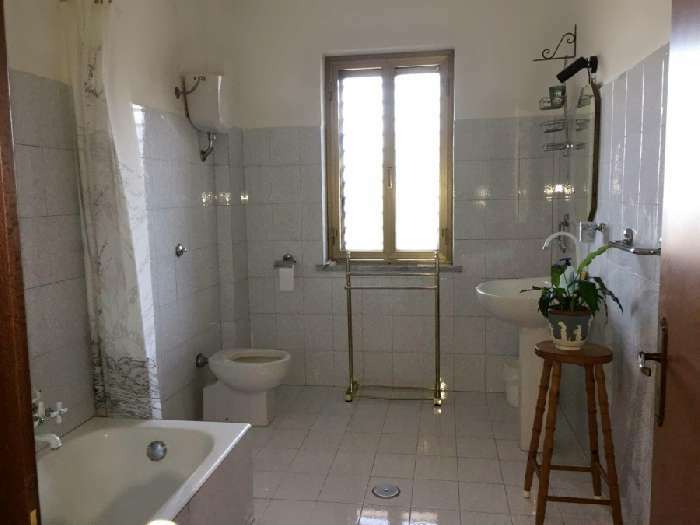 It is about 30 kms from the capital city of Catanzaro, 10 kms from Squillace beach that takes approximately 15 mins by car or local buses and only 25 kms from to La Mezia Airport leaving it very accessible. The property has great potential for a business venture as it would be perfect as a B&B. Set in beautiful countryside there are designated walking paths in the wooded mountains, excursions could be organised for hunting, there is wild mushroom picking and olive picking as well as the usual seaside holidays during the long hot summers that southern Calabria has to offer. The villa could also be transformed into a superb retreat because of the quiet location. The grounds and gardens are perfect for relaxation and sunbathing with the added bonus of the surrounding wooded, chestnut tree mountains that produces a very high quality of rejuvenating fresh air. 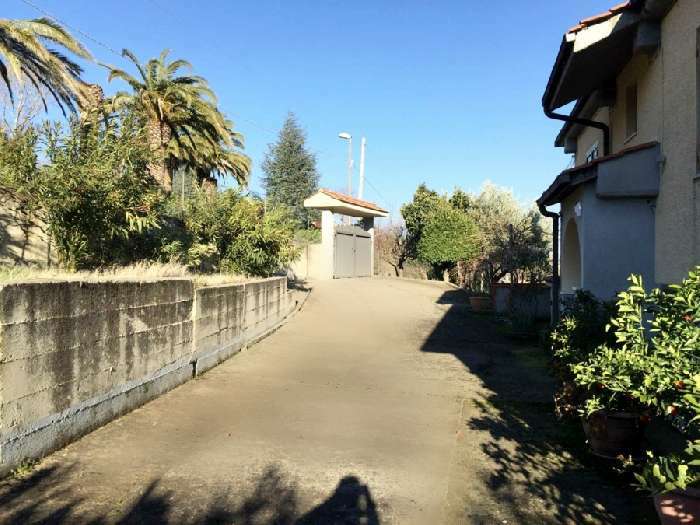 A fabulous opportunity to buy a villa in Italy with excellent business potential! !